Build a new museum facility. Support historical projects, programs and research that preserve the history of the 1st Cavalry Division and its Troopers. 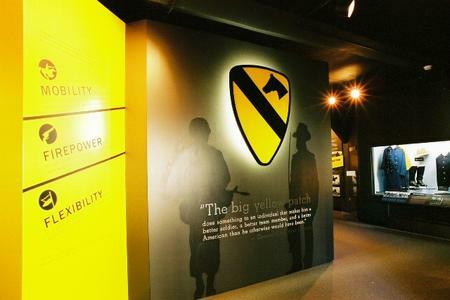 Support Museum programs that educate the public and increase its appreciation for the contributions of the 1st Cavalry Division and its members and Veterans to the United States Army and the United States of America. Promote, counsel, and provide support to organizations, both government and private, that are committed to similar goals and objectives. The Museum Foundation depends on various fund raising activities and donations to carry out its goals and objectives. 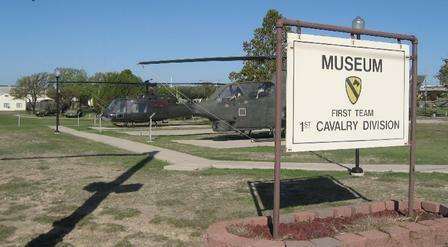 The 1st Cavalry Division Association Museum Foundation is a tax-exempt publicly supported organization under the provisions of section 501(c)(3) of the Internal Revenue Code and donations made to the Museum Foundation are tax deductible. The Museum Foundation’s tax identification number is 91-2199014. 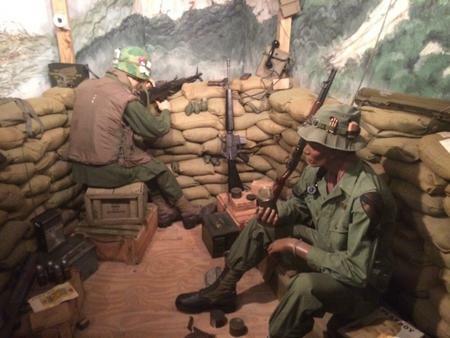 The Museum Foundation contracted with military artist James Dietz to paint a scene from Operation Iraqi Freedom II to commemorate the First Team’s participation. Prints of “Turning the Corner” from his original artwork, are available for purchase through the Crossed Sabers Souvenir Shop with profits from the sale of the print going to the 1st Cavalry Division Museum Foundation to support the goals and objectives of the Foundation. All prints are numbered and signed by the artist. 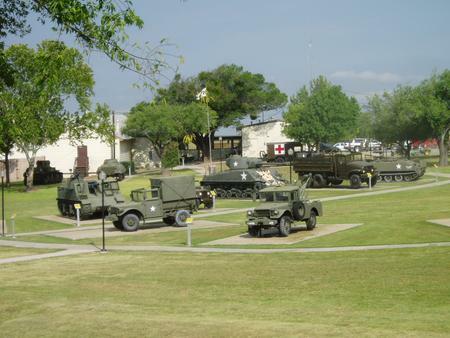 The Museum Foundation sponsored the construction and emplacement of a Memorial to honor the Troopers of the Division who served in Operation Iraqi Freedom. Due to the generous donations of numerous individuals, businesses, and foundations the Memorial was constructed and dedicated on 4 April 2005. Initial estimates put the cost of the Memorial at $250,000 but the Museum Foundation raised in excess of $280,000 for this cause. 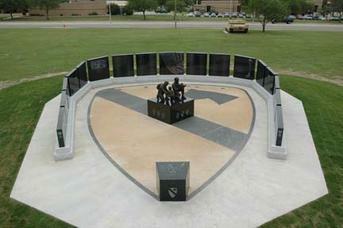 A photo of the Memorial at the last rededication ceremony in 2010 is above. Click on the button below for Donor Listing.